The end of summer marks the beginning of school and the return to old routines and shorter days. For many people, the end of summer also marks the beginning of a new small group semester. 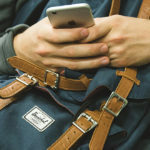 If your church is one of the many that takes off from small groups in the summer, then you know that getting back into the rhythm of meeting has its challenges. Whether your group is full of the same people from last year, is adding a few new members, or even if you’re leading a new group entirely, consider the following tips for starting the new group year off right. 1. Clearly communicate your vision and goals upfront. From the very start of your group year, it is important that everyone is on the same page as far as expectations go. As the group leader, it is up to you to clearly communicate the vision and goals you and your church have for small group ministry. This assumes you know what the vision and goals are—an even better place to start. 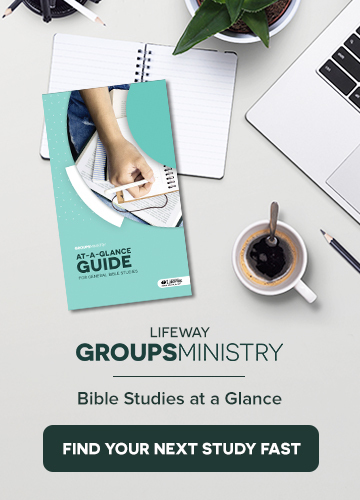 Will your group be about discipleship and Bible study? Or is it more about accountability or service? Maybe it should be a mixture of all of the above? Whatever the vision, everyone in your group must know it, or you will not be able to strive for it together. 2. Encourage your group members to set personal goals too. While a shared vision is critical to any effective small group, each of your group members bring their own struggles and interests to your group. Begin this new semester by encouraging them to consider specific things they want to get out of your time together, and then to share those with the group. Knowing each other’s hopes and goals will help your group be a place of encouragement and accountability throughout the year. A great way to kick off a new group year is by spending time together in a casual setting, outside of the normal small group time. 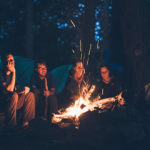 Small group meetings can be intense, and something like a cookout or pizza party can be a great way to ease into new relationships or reconnect with an old group. 4. Be mindful that real connections take time. People come into a small group with varying levels of comfort in regards to being open, honest, and vulnerable. While it is important that you create an atmosphere where sharing and being vulnerable are encouraged, don’t get frustrated if real connection takes time. Oftentimes an entire semester can go by before you feel like the people in your group really start to click, and that’s OK! You want these connections to happen naturally, so create an atmosphere of trust and know that your group members will open up when they are ready. Even as the leader (and sometimes especially then), being open and honest can be scary. Leading a group brings with it the pressures of discipleship, which can make it hard for you to feel comfortable sharing your own sins and struggles. However, when you put yourself out there, you let the rest of your group members know it’s OK to be let their guards down, too. So go ahead! Let people see the real you. 6. Take time to pray. Regardless of the vision and purpose of your small group, corporate prayer needs to be an important part of every week’s gathering, and you can establish this precedent from the very beginning. With everything that needs to happen during any given group meeting, it’s easy to run out of time to pray. Set aside a specific time that will be protected for prayer, and make sure everyone knows that time will be respected every time you meet. These are just a few steps you can take to make sure your new small group year gets off to a good start. Above all else, remember that God has brought this group of people together for this season of life, and get excited about the plans He has for your group over the coming months.